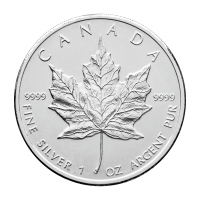 When you buy your assorted $10 1976 Montreal Olympic sterling silver coin from our store online, you’ll be paying the lowest price anywhere! 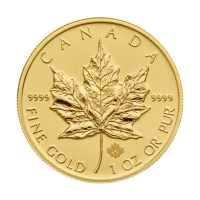 Each coin in this series is a little piece of history as the Royal Canadian mint, at the government’s behest, created them in order to help finance the Montreal Olympics of 1976. 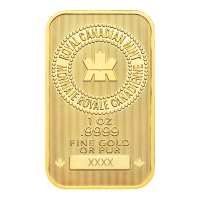 This release was the first ever release by the Royal Canadian mint of a coin with a $10 denomination. 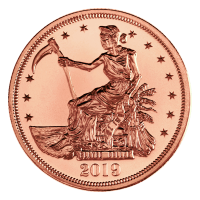 Each denomination appears in 7 series, covering subjects relating to the Olympics and the enduring spirit of the games. 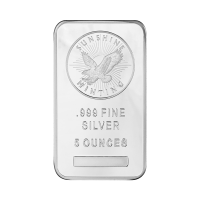 Each $10 coin weighs 48.6 grams and is comprised of 92.5% Silver. Not only are these coins sought after for the many firsts they represent for the Royal Canadian mint, they are also a great tribute to the spirit of persistence which has kept the Olympic flame burning for so many decades. 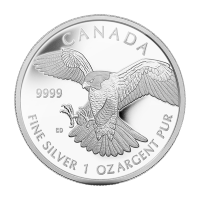 What better way to enhance your holdings than to buy your assorted $10 1976 Montreal Olympic sterling silver coin today. Obverse The words "Queen Elizabeth II Canada 1976"
Reverse Images of various Olympic sports from 1976. The words "Queen Elizabeth II Canada 1976"
Images of various Olympic sports from 1976. 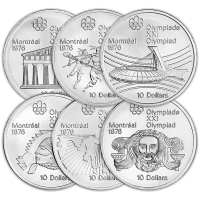 Assorted $10 Montreal Olympic Sterling Silver Coin When you buy your assorted $10 1976 Montreal Olympic sterling silver coin from our store online, you’ll be paying the lowest price anywhere! Each coin in this series is a little piece of history as the Royal Canadian mint, at the government’s behest, created them in order to help finance the Montreal Olympics of 1976. 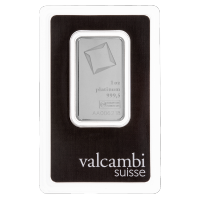 This release was the first ever release by the Royal Canadian mint of a coin with a $10 denomination. Each denomination appears in 7 series, covering subjects relating to the Olympics and the enduring spirit of the games. 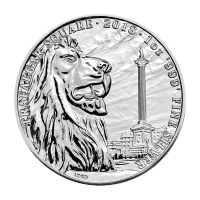 Each $10 coin weighs 48.6 grams and is comprised of 92.5% Silver. Not only are these coins sought after for the many firsts they represent for the Royal Canadian mint, they are also a great tribute to the spirit of persistence which has kept the Olympic flame burning for so many decades. What better way to enhance your holdings than to buy your assorted $10 1976 Montreal Olympic sterling silver coin today.